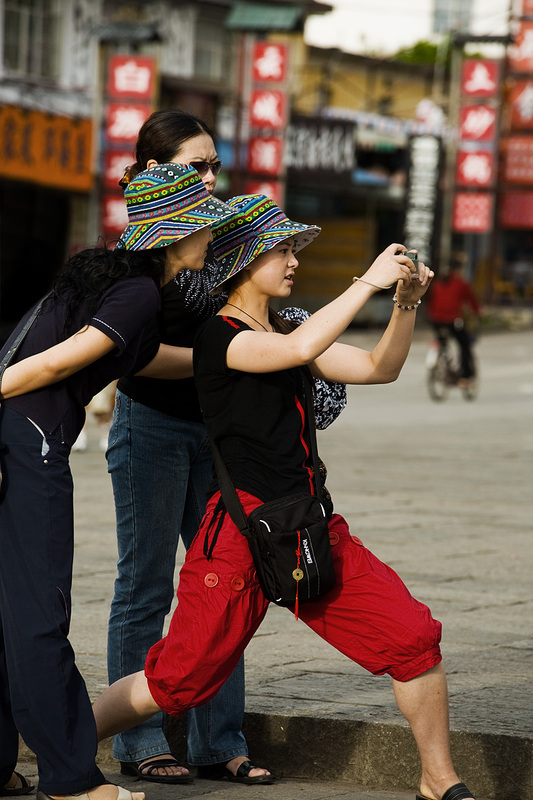 A Chinese woman strikes an atypical stance to capture a low subject. The weekend is again upon us. On weekends, we take the opportunity to depart from our weekday Thailand photos to present some archived images from other countries. 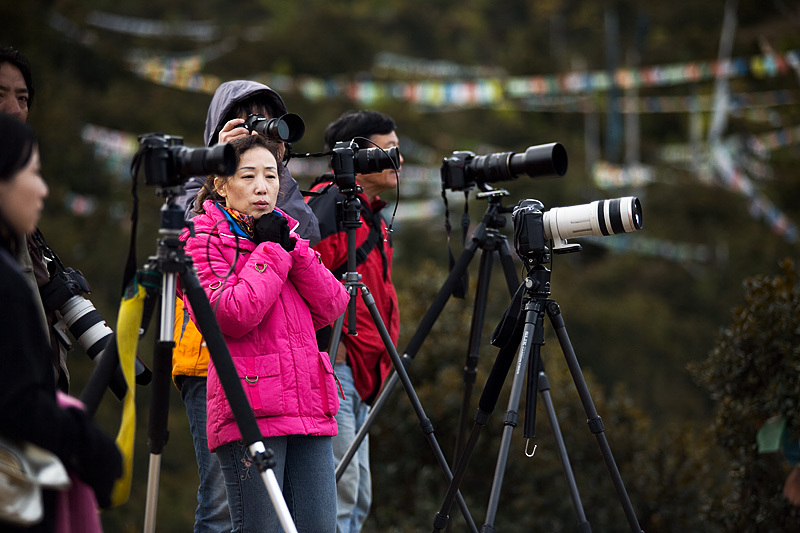 Chinese photographers await the Meili Mountain sunrise amidst a sea of cameras and tripods. It was medically proven that the travel guy is physiologically averse to cold weather, hence the only thing I recall from this photo years ago is how even the Chinese were complaining about freezing temperatures. The Chinese are a hardy bunch so the (softer) travel guy stood no chance to withstand the cold that morning.